The sweet spot for water temperature reduces the risk of scalding but delivers enough hot water for your household demand. Not too hot, and not too cold. Call it the Goldilocks setting! This guide gives step-by-step instruction for adjusting water heater temperature to the optimum setting. Some manufacturers suggest setting water temperature to 140F. However, 140-degree water causes third-degree burns in three to five seconds. It also increases standby heat loss. Setting the thermostat as low as 100F could mean running out of hot water during peak demand. The U.S. Consumer Product Safety Commission (CPSC) and the Department of Energy agree that 120F offers both safety and reduced energy consumption while providing sufficient hot water. Here’s an overview of how to adjust water heater temperature to 120F. Each step is explained fully below. First, you’ll want to find out the current water temperature using a thermometer. 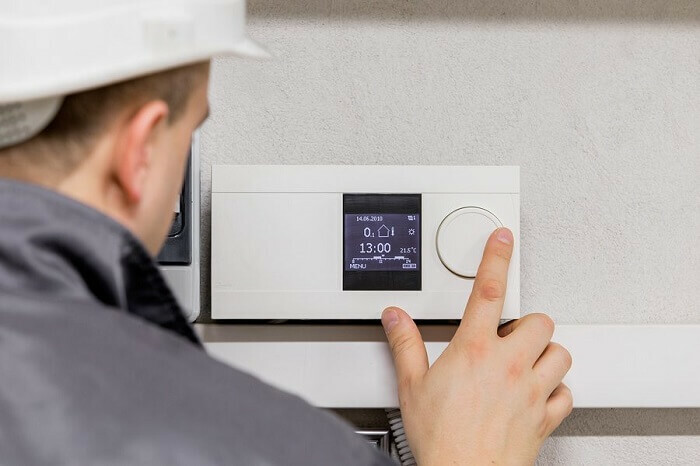 If the temperature isn’t where you want it, the next steps will be to locate the thermostat on the water heater and make the necessary change. After waiting for the water heater temperature to adjust, you’ll check it again. The last step is to mark the thermostat dial when the temp is right where you want it. 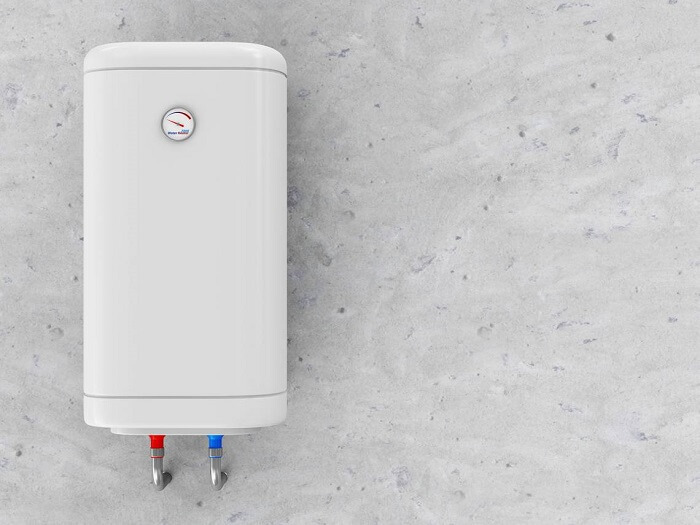 If you have a tank-style water heater, don’t use hot water for 30 minutes before checking the temperature. You want the water completely heated before checking it. Run the tap farthest from the water heater long enough to be sure you’re getting the hottest water possible. Fill a mug, and place a food thermometer’s probe in the water. It might take up to 20 seconds to reach full temperature. Gas tank-style water heater: The thermostat is on the outside of the tank near the bottom of the unit. It’s marked with temperature indicators such as “Very Hot” and/or letters A, B, and C.
Electric tank-style water heater: Most electric water heaters have two heating coils, top and bottom, and two thermostats. Each will be found behind a raised cover with one or more screws. Remove the cover and any fiberglass insulation covering the thermostats. Tankless water heater: Most tankless units have the thermostat dial or a digital temperature display on the outside front of the unit. When adjusting the water temperature, you’ll want a reference point for where you started. On gas models, a raised arrow on the non-movable part of the thermostat shows the current setting. On electric models, a post with a slot in it replaces the dial. The settings, often actual temperatures such as “125F”, are printed on the fixed part of the thermostat. On either type, use a dry erase marker to mark the current setting. If you don’t have a dry erase marker, place a small piece of tape on the thermostat, and mark it with a pen or permanent marker. If the thermostat has a digital reading, jot down its current setting. On a gas tank-style water heater, simply turn the dial to your preferred setting or between printed settings. On an electric tank-style unit, insert a flathead screwdriver tip into the slot, and make the adjustment by turning the post. Use the Up/Down arrows on a digital thermostat to make your adjustment. Once you’ve changed the water temperature setting, mark the new point without removing the original mark. The water temperature in a tank-style water heater needs to adjust to the new setting. 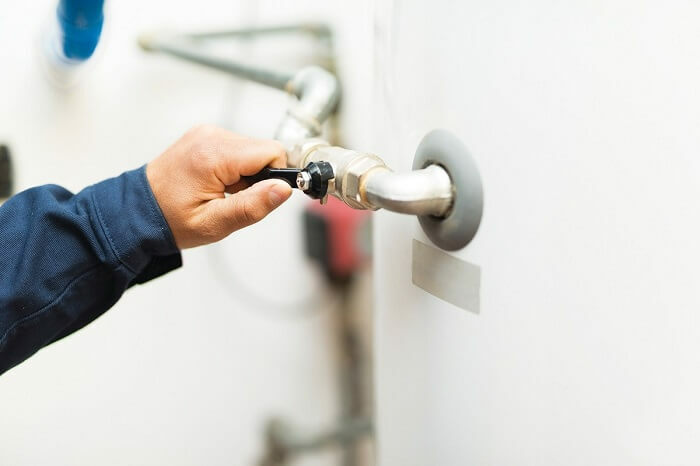 You can wait 12-24 hours for this to occur, or you can speed the process by running a significant amount of hot water and letting the water heater recover. Be energy-smart by running a dishwasher load or a couple loads of laundry rather than wasting the hot water. Repeat steps 3 through 5 until the water is right where Goldilocks would want it, not too hot and not too cold. Remove any tape you’ve applied, and use a permanent marker to mark your ideal temperature. While water of 120F is ideal for most households, there’s a slight risk of legionellae bacteria in the warm-but-not-hot water. The DOE recommends a water heater temperature of 140F for those with “a suppressed immune system or chronic respiratory disease.” If you choose the 140F setting, beware the burn risk, especially to children, the elderly and pets. A word of caution to guests in your home will prevent accidental burns. While this guide has been about adjusting your water heater’s temperature, we’ll throw in an energy-saving tip too. When you plan to be away from home for more than a day or two, turn your water heater to the lowest setting. If it’s an electric water heater, consider turning it off. Keep in mind you’ll have a short wait for hot water after you get home and turn the water heater on or up. Adjusting the water heater temperature is definitely a DIY job using these easy steps. In a day or less, you’ll have water everyone can use safely that’s hot enough for laundry and bathing. Sharing this information with others is a great way to help them locate the Goldilocks setting that’s just right for all their household needs. When we’re asked how does a dehumidifier work, the questioner is either curious or is really asking why their dehumidifier isn’t working as it should. 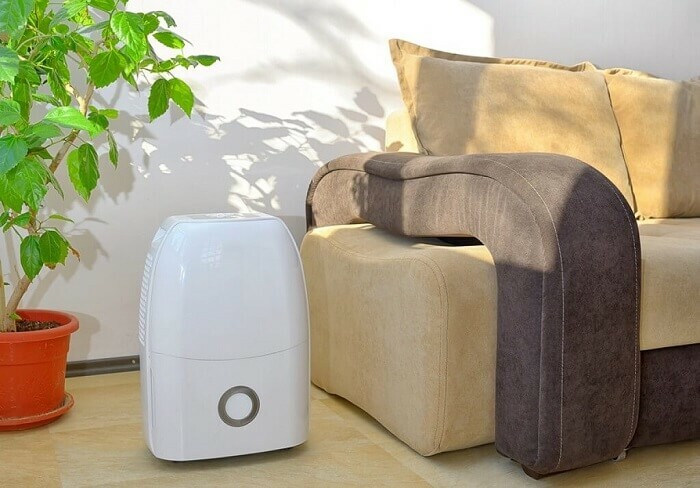 For both the inquisitive and frustrated, this post explains how a dehumidifier removes excess moisture from the air. The Steps section below details how a dehumidifier works and includes tips on what to do if it isn’t doing its job. After reading this post, “How does a dehumidifier work,” you’ll both understand the process and how to get maximum benefit from your appliance. Here’s an overview of the process. A dehumidifier works by pulling in moist air and condensing moisture out of it to dry the air. The unit contains tubing filled with refrigerant. The refrigerant is circulated by the compressor first to an evaporator where it collects heat from the air and then to a condenser where heat is squeezed out of it. But heat isn’t the issue. Moisture is. 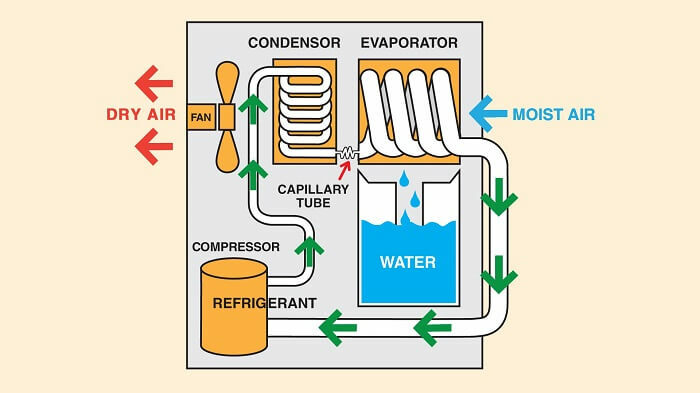 The purpose of using refrigerant to capture heat from the air around the evaporator is to make the evaporator cold enough for moisture to condense on it. The condensed water drains into a collection bucket or drain tube. Voila, the air is dehumidified! Now, let’s break down “how does a dehumidifier work” steps and solve common dehumidifier problems. The collection tank is full, prohibiting the unit from turning on. Check and dump the tank, if needed. The air is drier than the driest setting on the humidistat, so the compressor won’t start circulating refrigerant. The fan or electrical components aren’t working and need repair. If warm air is being blown out the back of the dehumidifier, it is collecting heat as it should. Your unit might have a continuously running fan, but the humidistat setting is too low to cause the compressor to come on and start circulating refrigerant. Adjust the humidistat to a drier setting. The dehumidifier might be low on refrigerant, so it’s not collecting heat. It requires repair or replacing. The refrigerant might be slowly leaking out, so repair or replacement is needed. The air filter at the front of the dehumidifier might be dirty, reducing the intake of air. Take it out, and clean it. Check the evaporator, and clean it if it is covered with debris. Dirt prevents heat transfer. Check to see if the float that descends into the collection tank is stuck in the “up” position that automatically shuts off the compressor to prevent overflow. If it is, gently pull it down, and remove dirt and debris from the float arm to free up its movement. Check to see if the float is stuck and not rising as the water rises. Turn off the dehumidifier, and gently push the float up. Clear debris from its arm that might be causing it to stick. The drain hole, if it has one, might be plugged by debris, preventing water from entering the drain line. Search for and clear a clogged drain hole. We addressed a failed fan in Step 1. If the fan is running, but the airflow seems diminished, clean the air filter. In case the air coming out is cool, review Steps 2 and 3. Clean the filter if it is dirty. Replace the filter or clean it with an oxygen bleach solution if it is moldy. We’ve answered the basic question: “How does a dehumidifier work.” These tips will help you get the most from your unit. Check the filter every few days, and clean it as needed. If you have a drain hose attachment option, use it. This allows you to run the dehumidifier continuously. If you collect water in a tank, it will shut off when full, and you might not be able to empty it for hours or days. Simply make sure the hose runs to a floor drain. Keep doors and windows shut. If humid air from outside continuously flows into space, it will never be dehumidified. Run a vent hood fan when boiling liquid on the stove and the bathroom exhaust fan when taking a shower to remove humidity. In warm weather, run a central AC or window unit to assist with dehumidification. Air conditioning uses the same technology, except that an AC moves warm air to the outside of your home while dehumidifying the indoor air. If the space is below grade and humidity issues persist, contact a foundation specialist about damp-proofing your home’s basement or crawlspace. Many homes have humidity issues that make them uncomfortable. When humidity leads to mold growth, the homes are unhealthy too. Many of your friends and social media followers probably wonder, “How does a dehumidifier work?” Passing along this post can help them, their families and pets live in a home that is comfortable and healthy. The top HVAC troubleshooting apps on any tech’s phone or tablet are amazing tools for cutting diagnostic and repair times, making customers happy and maximizing the profitability of every service call. Consequently, these HVAC troubleshooting apps are available for Android and iOS. Purchase and/or download them wherever you get your apps including Google Play and iTunes. Here are the 8 best troubleshooting apps for HVAC and what sets them apart. You’ll be working smarter with these handy apps that take the hassle out of getting the job done right. This is the perfect field companion to the best-selling ABM-100 airflow anemometer ($32-$40 from most retailers). As such, you just need to plug the meter into the headphone jack and get the reading instantly. Note: The Airflow Balancing Meter doesn’t work in about 25% of devices. Moreover, the issue seems to be related to the jack and not the app. It’s free, so there’s no harm in giving it and the anemometer a whirl. Finally, you’ll only use the apps you’re familiar with, and good apps only help if you use them properly. Put our 5-step plan into action, and you’ll soon be optimizing your productivity and maximizing your profits. If your colleagues in the HVAC industry are motivated about success too, they’ll appreciate you for passing along this guide to the top HVAC troubleshooting apps available. This brief guide explains how to measure superheat and subcooling. As a review, superheat is heat added to the refrigerant above its boiling point/saturation. Subcooling is removing heat from refrigerant below saturation. Measuring the superheating and subcooling of the refrigerant tells you if it is under the proper amount of pressure and can lead to a diagnosis of the refrigerant level and mechanical issues. Step-by-step instructions on how to calculate superheating and subcooling values plus possible diagnosis using the measurements are included. Furthermore, the tools, tips, and techniques below assist you in streamlining the process for faster maintenance and diagnosis of the problem. Safeguards against improper diagnosis and repair such as diagnosing and replacing the compressor when the problem is something else. That’s a costly but very common mistake. 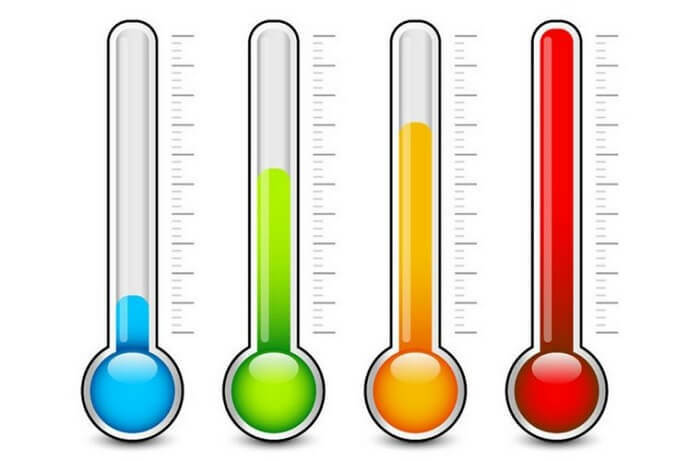 The primary tool for the job is a superheat/subcool meter or gauge. They’re produced by many brands in a price range from about $70 to $250. We suggest looking for one with presets for the refrigerants you work with most commonly – R22, R410a (Puron), R134a and R404a, for example. That eliminates the need for inputting the specific refrigerant’s specs. A handy assistant when converting low-side and high-side pressure to temperatures is a phone app like Emerson’s Check & Charge. The free app is one of many great HVAC troubleshooting apps every tech should have. Its features include superheat (non-TXV) and subcooling (TXV) calculators for R22 and R410A. Check & Charge is available here for iOS and here for Android. A companion to it is the Danfoss Refrigerant Slider with pressure-to-temperature conversions for 80 refrigerants. Those are specs you must know to successfully evaluate the performance of the equipment you’re evaluating. Here’s how to determine these values in a few easy steps for each. Measure the low-side pressure with your gauge. Convert pressure to temperature with an app, slide or chart. Next, take the temperature of the suction line where it leaves the condensing unit, though stay 4-6 inches from the compressor. Use your measurements to determine the amount of superheat. For example, if suction line temperature is 65 degrees and your conversion of the suction pressure to temperatures yields 50 degrees, then the difference is 15 degrees of superheat. Measure the high-side pressure with your gauge. Convert pressure to liquid temperature with an app, slide or chart. Measure the temperature of the liquid line where it meets the evaporator and before the metering device. Finally, determine the difference in the temperatures determined in Steps 1 and 2 by subtracting the liquid temperature from the saturation temperature of the refrigerant you’re working with. A difference of 12-15 degrees is standard. For example, if your conversion of pressure to temperature yields 115 degrees for saturation and the liquid line temperature is 100 degrees, that’s 15 degrees of subcooling. Note: Superheat should be 12-5 degrees in ambient air temperature below 85 and 8-12 degrees in warmer air. Subcooling should be 5-18 degrees, at the high end of that spectrum when the equipment has a TXV. Always go by the manufacturer’s specifications. Low superheat: Too much refrigerant in the evaporator. It’s likely overcharged. High superheat: Too little refrigerant in the evaporator. This might indicate that the system is low on refrigerant, but it’s just as commonly caused by insufficient heat getting to the evaporator (dirty filter or blower, undersized or blocked ductwork, plugged evaporator coil) or a dirty/defective metering device. Don’t try this at home! Diagnosing and repairing air conditioning and refrigeration is one of those jobs experienced DIY homeowners are wise enough to steer clear of. Moreover, working with refrigerant is not a DIY job unless you’re a licensed HVACR technician. Only licensed techs can legally handle refrigerants. Additionally, overcharging and undercharging a system lead to serious issues with air conditioning and refrigeration equipment. There’s no reason to turn what might be a small problem into a major mechanical failure. And here’s an important caution: Refrigerant might not be the issue. If you misdiagnose the cause of the problem, your solution won’t work. Consequently, the right approach is to leave the work to an experienced HVAC technician. Finally, if this post interested you, it’s possible you ARE an HVACR pro. If so, we hope it was a good refresher in superheat and subcooling basics. We’d enjoy getting your feedback in the Reply box below. If you’re a homeowner diagnosing an AC or refrigerant issue, we’d recommend discussing the issue with a professional.As such, look for one certified by N.A.T.E., the North American Technician Excellence. The organization provides the most broadly respected training, testing, and certification for professionals in the HVACR industry. If you’re a hands-on homeowner that likes to know what the issue is, so you can fix it yourself or knowledgeably discuss it with a pro, you probably know other homeowners who feel the same. In the end, perhaps they’d benefit from this information on superheating and subcooling, so feel free to share!